Spinach is often one of the first vegetables that an eager gardener will plant each spring. 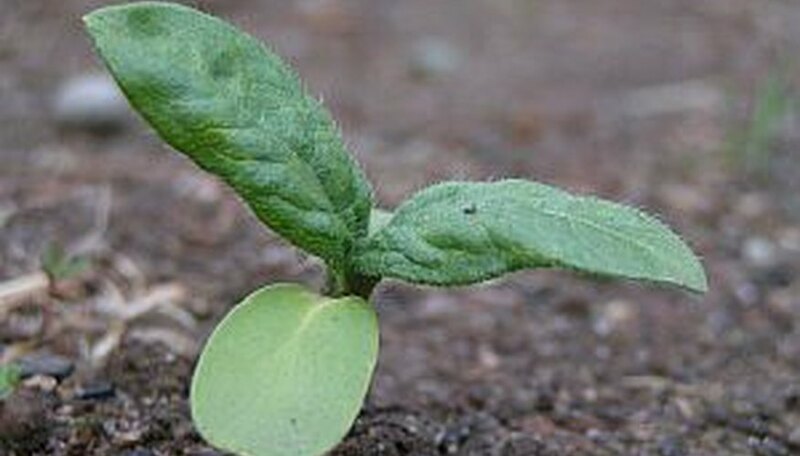 As soon as the soil is warm and dry enough to work, prepare the growing area and sow spinach seeds. For a continual harvest, plant small spinach crops every week or two. This will provide a fresh spinach harvest throughout the cool weeks until the spinach plants naturally go to seed with the arrival of hot weather. Observe as the spinach germinates and grows throughout the spring weeks. Keep the spinach plants evenly moist if the weather is dry. Work a side dressing of compost in around the spinach plants if they seem to be growing slowly as the weeks progress. Side dressing compost means to add a few handfuls of compost to the soil around the plants and work the compost in with a small garden fork. Watch for the spinach leaves to grow until they are big enough to harvest. Generally, leaves that are 3 to 4 inches long and 2 to 3 inches wide are large enough to harvest. The young spinach leaves will be the most flavorful. Snip the leaves off at the stems to harvest. Cut the entire spinach plant down when flower stalks appear. To preserve the best flavor, cut the plant down before the plant actually flowers. Use spinach immediately by eating raw or cooking. Store spinach for several weeks in the refrigerator in plastic bags. Freeze spinach for long-term storage by blanching for 2 minutes, cooling in ice water for 1 minute and then freezing in plastic bags. Frozen spinach will keep for about nine months. Spinach seeds are ready to harvest about six weeks after planting.